Taking good care of your body, mind and soul with simple self-care strategies can help you be the best version of you! We all get so busy, right? It seems difficult to take proper care of yourself. But there are many ways to take better care of yourself that you can start incorporating into your daily life. When we don’t include self-care in our lives, it can lead to higher stress levels or health problems. Then you are off to see a medical professional who gives you all types of medications that can potentially just make things worse! Whether you are stressed to the max, not getting enough sleep or just overwhelmed, I have 5 simple self-care strategies for you today! Ways to Take Better Care of Yourself – Do Doctors Really Know Best? Do you forget to take care of yourself today? Maybe you keep putting it off. Believe me, I know exactly how you feel! I was on that rollercoaster too and my health suffered for it. As a result, my immune system was compromised and I got these hideous and painful rashes on my face. I went to many medical professionals over a 6-month period. I was diagnosed with everything from candida, parasites, leaky gut, eczema, seborrheic dermatitis and auto-immune disorder. All this without a blood test. They gave me everything from topical steroids, armfuls of expensive supplements and synthetic essential oils (I didn’t know any better). Well, guess what happened? I felt worse than ever. Had zero energy – could barely go for a 30-minute walk even though I was a fast runner prior to this. Still had the painful rashes on my face. Got very sick with upper respiratory infection that took weeks to go away. I finally made a decision. I threw out all the supplements and stopped seeing those so-called medical professionals. These five things are the main self-care methods I used and continue to incorporate into my life daily! Does the thought of eating healthy foods make you cringe? Don’t worry. 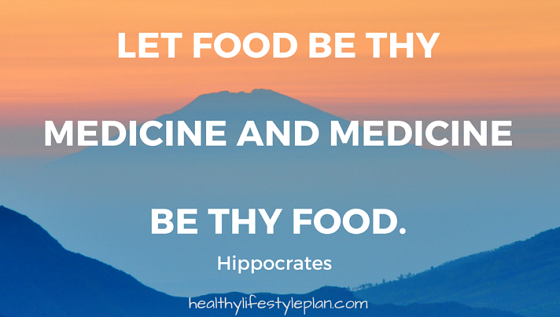 You can make a slow transition to eating more natural foods that are good for you. For example you can easily replace high sugar cereals with low sugar cereals. Or, try some hot oatmeal in the morning with some sweet strawberries. Or you can cook a few servings at once and store in containers. Read more about that here. Just make sure you are getting the nutrients you need. Here’s what I mean. I was seeing a nutritionist during my bad experience. She actually had me eating a severely limited diet with barely any carbs. That’s why I lost so much weight and felt severely exhausted. She insisted this was the right thing to do. Nope, it wasn’t for me. Do what is best for your own body. One of my most important self-care strategies is to eat a balanced, healthy diet. I use the 80-20 plan. I eat very healthy eighty percent of time, and eat other foods the other twenty percent. I started juicing greens and drink a glass daily. That made a huge difference! If you can’t juice, then Suja is the best! My rashes went away and my energy improved! I haven’t been sick since! You’ve heard this countless times – EXERCISE! It’s an important part of self-care and should be taken seriously. However, many people think you need to join a gym and do hours of workouts. That’s great but not true. Do you have an extra 20 minutes? Get outside for a walk. Do you have an Internet connection? Go online and find a free Yoga video. Do you have friends that you enjoy conversing with? Get outdoors together and do a fun activity! There are also some online programs you can join for a very low monthly fee to enjoy workouts at home. In addition to weight loss, exercise helps lower the risk of disease and is the best stress reducer! Have you tried any? Working out at home is convenient and fun! Plus these days, you can squeeze in a 25 minute workout for maximum results. Mindfulness is my favorite self-care strategy! I learned about being mindful years ago through a book called, “The Miracle of Mindfulness” by Thich Nhat Hanh. Don’t worry, it’s not about religion. It’s more of a philosophy of living. For example, when I learned about mindfulness, I felt like I had more time in my day because I was truly experiencing each moment to its fullest potential. Truly being present in each moment of life also helped me learn gratitude for so many things. I hope that you can experience this too! 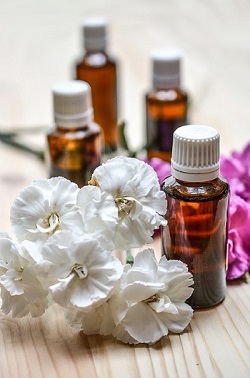 While searching for better ways to take care of yourself, have you considered essential oils? Seriously, I was introduced to real essential oils nearly 3 years before I started using them as part of my self-care plan. Maybe it was the way they were presented to me, I’m not sure. But three years later I did more research and suddenly realized the power of essential oils. They’ve been utilized throughout time (over 5,000) years for a variety of health conditions ranging from emotional, mental and physical. How I missed out on the power of these healing plant oils is beyond me. But I am grateful to finally incorporate them as an important self-care strategy in my life. They are so simple to use too! Have you ever tossed and turned all night only to greet the morning feeling like crap? Yep, I can relate. I don’t sleep well at all and am so thankful for lavender essential oil! I just diffuse it at bedtime and have slept great ever since. 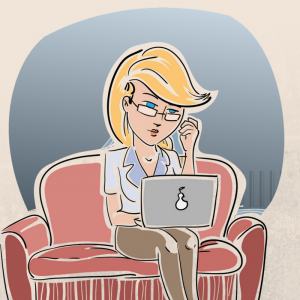 Sleep deprivation can do damage to your body in addition to feeling awful and unproductive. Your brain simply cannot function correctly without restful sleep. And it spills over into your emotional and cognitive abilities. Unfortunately, all the coffee in the world won’t help much. Stimulants just make the situation worse. I love getting a good eight hours of sleep each night. I don’t sleep well and wake up a lot so now I just diffuse Lavender essential oils and what a huge difference! Plus it’s safe and healthy. What could be better. What can you do to improve your sleep as part of your self-care strategies? Make your bedroom cozy and quiet. There are many ways to take better care of yourself. 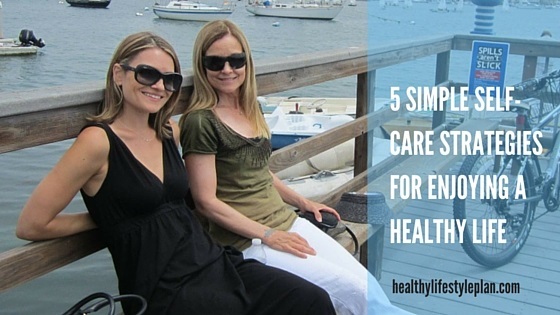 Today I gave you 5 strategies for self-care that I’ve used to feel better! We can’t always control the circumstances in our lives but we can control taking care of ourselves to be more resilient and handle these things. Are you ready for life’s challenges? Using these self-care strategies can help you function better in everyday life. What do you think? Will these strategies help you on your journey to self-care and healthy living?